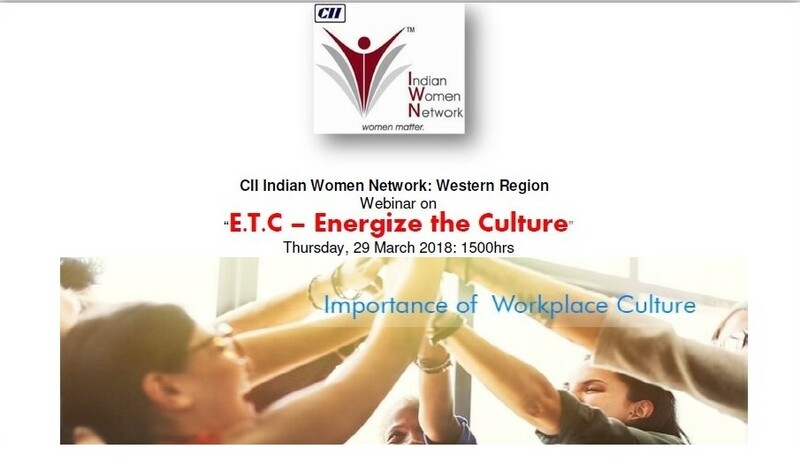 CII Indian Women Network Western Region in association with Wellness Partner “Amway” organized a Webinar on “Energizing the workplace Culture” In his address, Mr Shantanu Das, CHRO, Amway India, mentioned that one of the greatest assets an organization can have is an Engaged & Energized workforce. The webinar mainly focused on how ‘Energize The Culture’ is fast becoming a Workplace mantra around which companies are building their Human Resource Strategy ranging from Talent Development to Performance Management! Research has proved that an Engaged employee is at least 12% more productive and hence Engagement has moved from being viewed ‘as a feel good’ fuzzy parameter to one which is concrete and has a strong Business Linkage. So how does an organization build a culture that is enabling for an employee, a culture that energizes employees, a culture that leads to an employee putting in discretionary effort in all that they do at work ultimately creating a high-performance culture.